It is not often that you come across pure musical genius. But a few do exist: Martha Argerich, for one. And then is the Galician Cristina Pato, the gaita player. Add to these two the name of Victor Prieto, a fellow Galician and accordion player who for all intents and purposes appears to have pushed back the horizons of the accordion, but also blurred the lines between music – all music – that you could possibly think of, traditional and contemporary, in every possible kind of music, from anywhere in the world. Think Spanish and other European, Latin American, Brasilian, African-American, etcetera. In Prieto’s own words: he plays the music that he ‘hears in his head’ where sits a veritable harmony of sound bouncing around with joyful rhythm. To understand why this is not empty hyperbole, you have to listen to his album, The Three Voices. 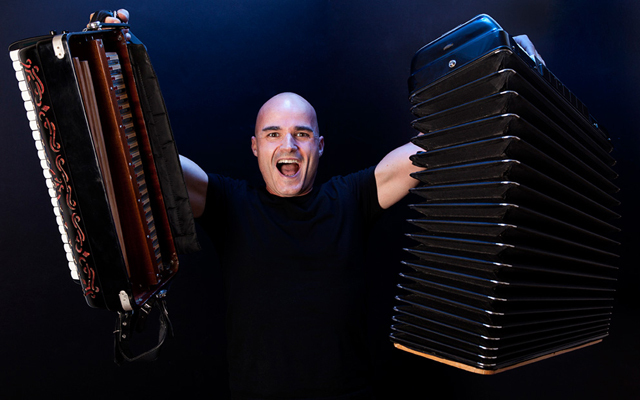 In a word his performance is ‘supernatural’, meaning that in the normal natural realm it’s hard to imagine anyone playing an accordion as he does. Victor Prieto is also an extraordinary vocalist. His vocalastics are as rare as the Tuvan throat singers. Only Prieto can make individual vocal chords vibrate independently of each so that he is able to produce multiple harmonics seemingly with each syllable – not every word, but every syllable – that he sings. He showcases this unique ability on ‘The Three Voices’ and on ‘The Vibration’. His performance on ‘Muiñeira For Cristina’, brings him together (again) with the gaita player from Galicia and their performances here have a shimmering, mystical quality that is wonderfully evocative – exotic, and yet somehow, perhaps because of the unique modal language, unmistakably Galician. But if you think that this makes Prieto sound like a circus act, perish the thought. 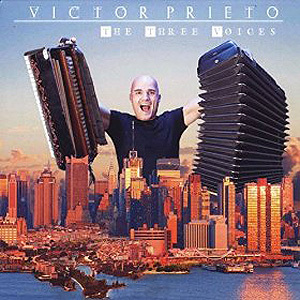 Victor Prieto is a musician’s musician; he is a composer, a veritable master of melody and harmony, and rhythm. In other words, he is made completely of music. But there is something more. Prieto plays with immaculate technical address and ravishingly songful, mellow tone. He strikes a perfect balance between classical strength and private introspection, his contribution as full of radiant spontaneity and tumbling fantasy. Hear how he locates those rolling arpeggios from ‘Michelangelo’ or ‘Six Note Samba’ Elsewhere in ‘Papa Pin’, a tribute to his grandfather he negotiates music that not only requires the careful handling of its seductive charms but also a myriad melodic and harmonic intricacies. Then there are his two classic performances on ‘The Three Voices’ and ‘The Vibration’. This album is worth going out on a limb to purchase it for these two tracks alone. If for all of these reasons and more I have been able to wax lyrical about this classy music it is because I simply cannot imagine the world without it. Track List: Chatting With Chris; Michelangelo 70; Games; Games 2; Papa Pin; Recuerdos; Rosa; Six Note Samba; Muiñeira For Cristina; The Three Voices; The Vibration; Two Door. 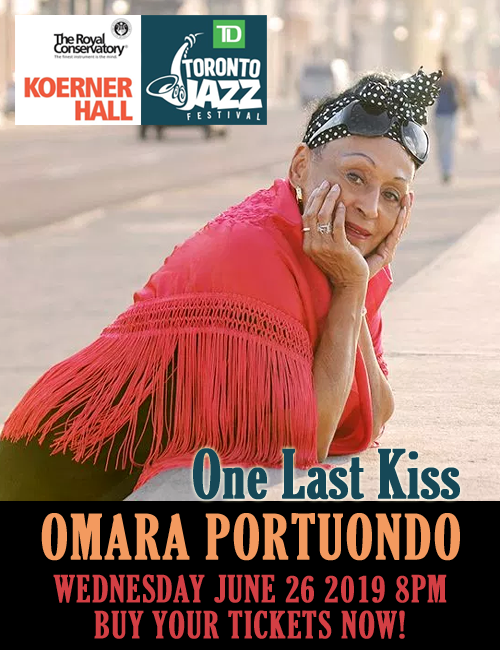 Personnel: Victor Prieto: accordion, voice (9, 10, 11); Jorge Roeder: bass; Eric Doob: drums; Arturo O’Farrill: piano (3 – 5); John Ellis: saxophone (1, 5, 8, 12); Cristina Pato: gaita (9); Meg Okura: violin (5).